MWTCMarines from the MWTC on top of Denali in Alaska, the highest point in North America. 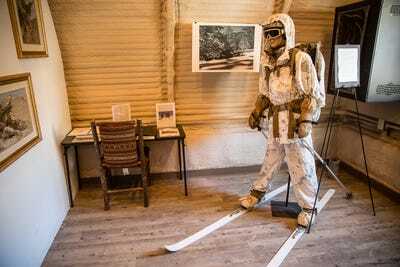 Temperatures during the Korean War’s decisive battle at the Chosin Reservoir in late 1950 were as low as negative 35 degrees Fahrenheit. 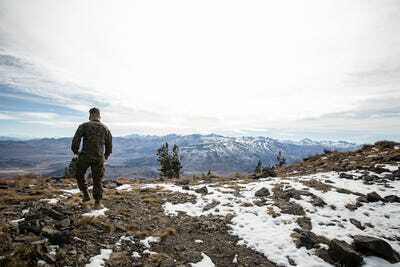 The terrain was more rugged than most American troops had ever seen. Allied forces were outnumbered and encircled. “We’ve been looking for the enemy for some time now. We’ve finally found him. We’re surrounded. 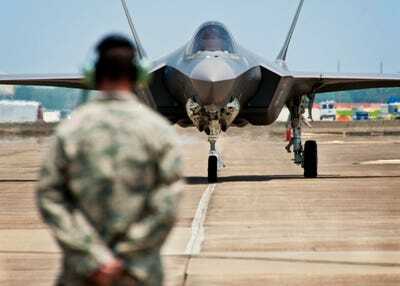 That simplifies things,” the then commander of the 1st Marine Regiment Col. Lewis Burwell “Chesty” Puller famously said. The Marines took heavy losses during that battle, primarily due to the elements and otherwise treacherous conditions. 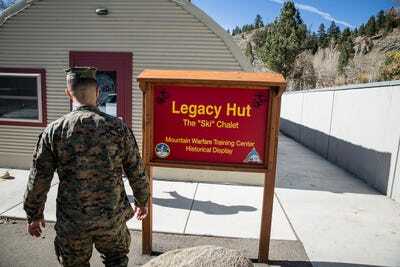 The lessons learned at the Chosin Reservoir led to the inception of what is today known as the Marine Corps Mountain Warfare Training Center, in 1951. 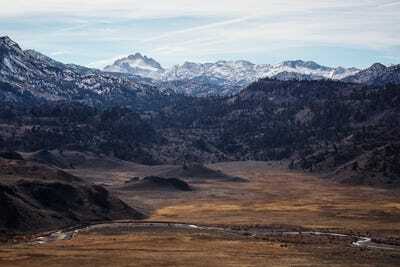 It’s located in an isolated 46,000-acre tract deep inside Toiyabe National Forest in northern California. 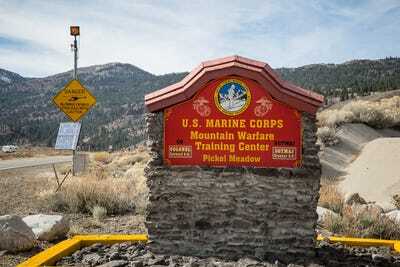 Nestled in a valley between rugged mountain ranges in California’s Sierra Nevada, MWTC all but mirrors conditions Marines faced on that frozen battlefield decades ago. 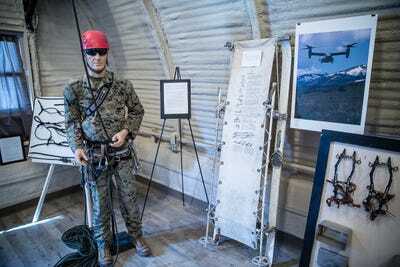 Today it is the premier training ground for Marines heading into mountainous, high altitude, and or cold weather environments, like the site of the Corps’ weapons stocks in Norway — or, until recently, the alpine regions of Afghanistan. 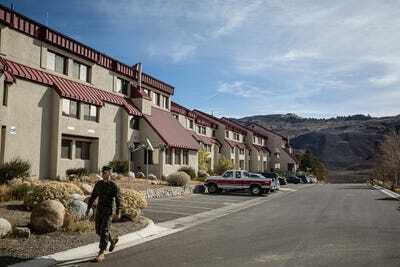 Business Insider visited the Marine Corps premiere facility for preparing its soldiers for the rigors of alpine warfare. 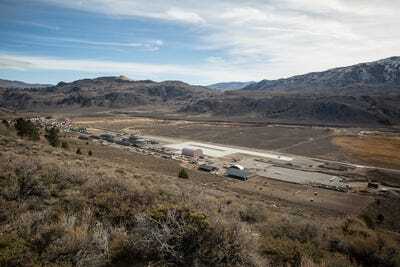 Located high in California’s Sierra Nevada, not far from Yosemite National Park, it is one of the Corps’ most unique installations — set amid spectacular natural beauty. 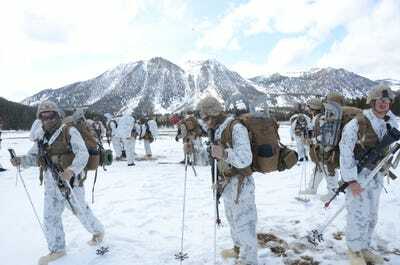 Marines at MWTC -- founded in 1951, near the height of Korean War -- learn skills like mountain survival, assault climbing and scout skiing, to name just a few. 'The Turkey, Iraq, Iran borders look exactly like this place. The same stuff. It has real-world application for training,' said academics director Steve Gardner. 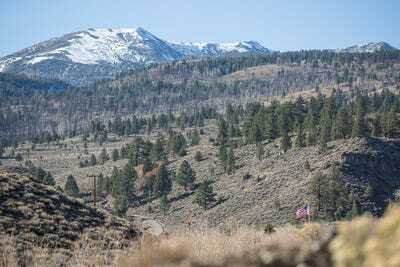 Conducting military operations in this environment presents a host of unique challenges. 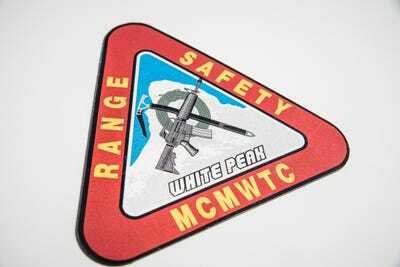 The insignia for the MWTC's range control personnel -- call sign 'White Peak' -- shows some of the most basic tools a Marine needs to fight on an alpine battlefield. 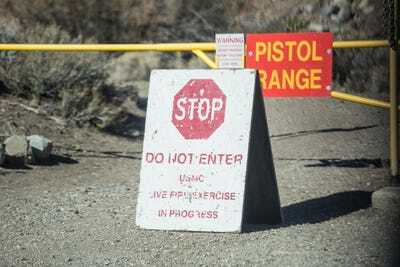 ... and operate weaponry under intense conditions. 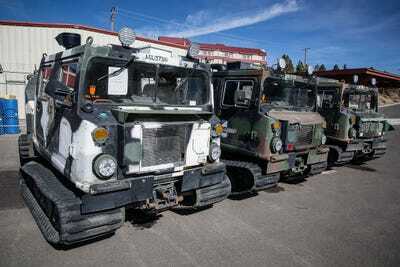 Marines also learn how to get around on snow mobiles, as well as a squat-looking all-terrain tracked vehicle called the Bandvagn 206. 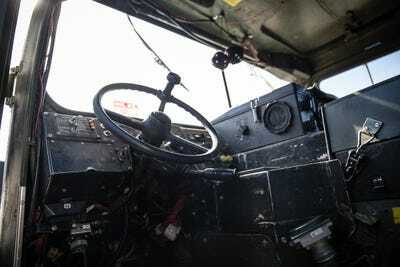 The military nomenclature for this vehicle is small unit support vehicle. 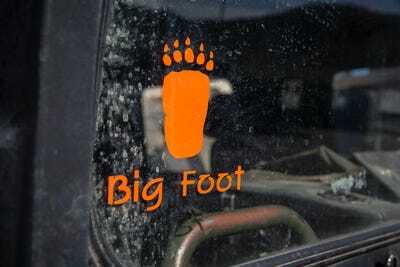 The Marines who use it to scramble over the hardscrabble landscape simply call it Big Foot. 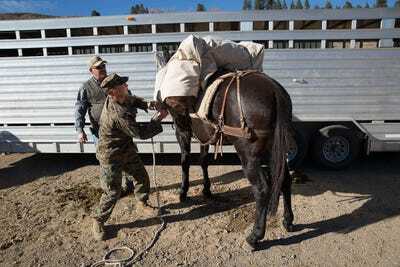 There are lower-tech and more time-honored ways of getting around a mountain battlefield -- pack animals are a big part of the MWTC's program as well. It's a time-tested skill essential to moving people and goods around mountain ranges. 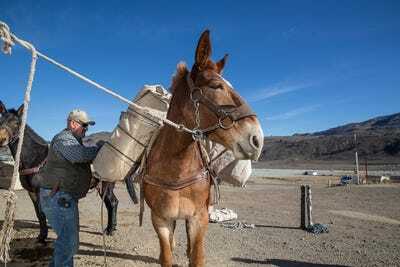 Even today, Marines could still face situations where there's just no replacement for a strong pack animal. 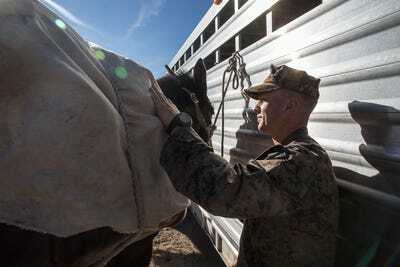 A look at some Marine-level horsemanship equipment. 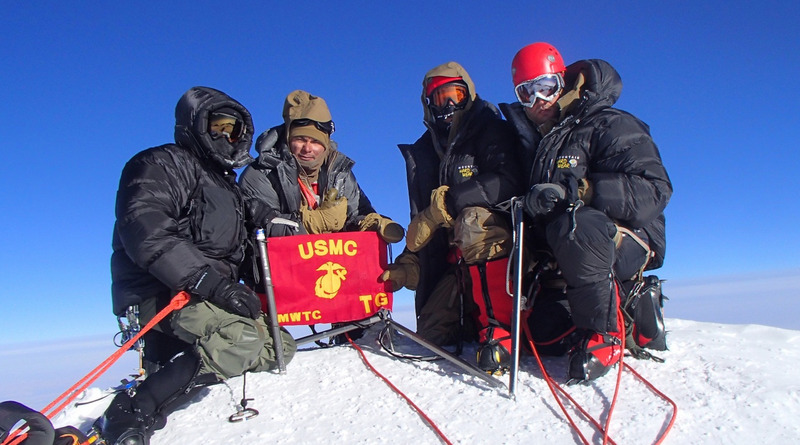 Some of the Marine Corps' most legendary campaigns, like the Korean War's battle of the Chosin Reservoir, were fought in alpine conditions. 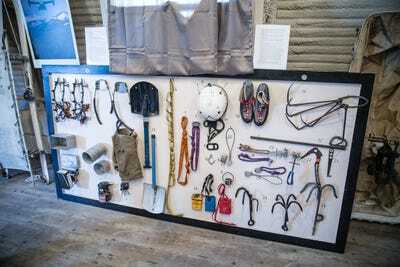 The MWTC's Legacy Hut showcases the history and the equipment of the Marine Corps' modern-era mountain fighters. 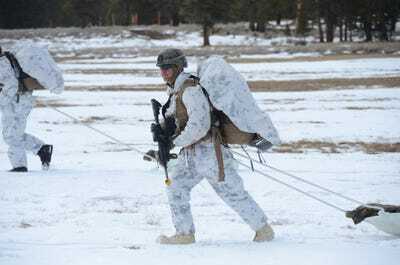 Troops still have to negotiate the mountains with tools like snow shoes, ice picks, and ropes. 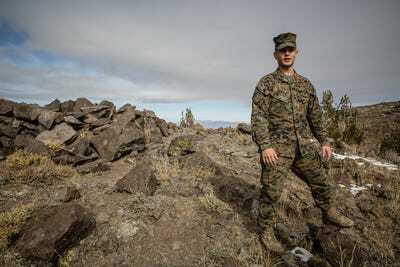 Any Marine who wants to specialize in mountain warfare has to master all of this equipment. ... and negotiate alpine battlefields by ski. Here's what modern-day trainees at the MWTC look like in full alpine gear. 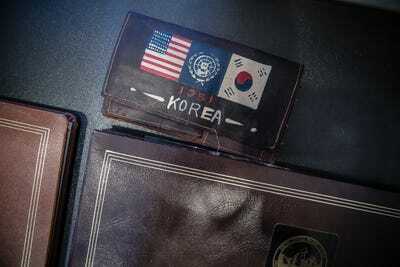 The MWTC was founded in 1951, not long after the US entered the war in the mountainous Korean Peninsula. 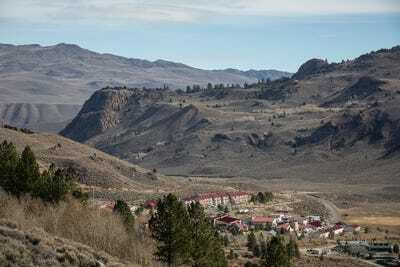 The Chosin Reservoir campaign of 1950, in which a vastly outnumbered detachment of Marines survived an enemy encirclement in alpine terrain and rescued a stranded UN force, is now the stuff of Marine Corps legend. 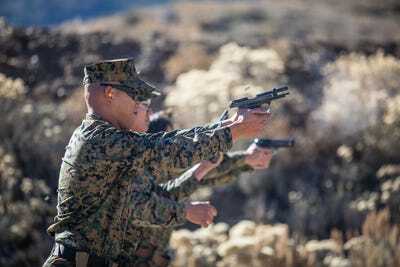 Today, the Center prepares Marines for deployment to places like Norway, where the Corps has a large pre-positioned weapons stock. 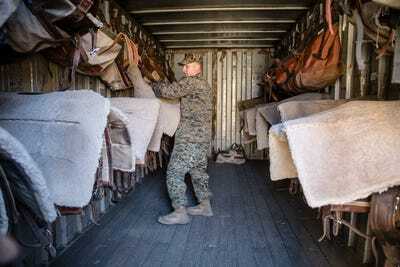 It also helped train Marines for the mountain battlefields in Afghanistan. 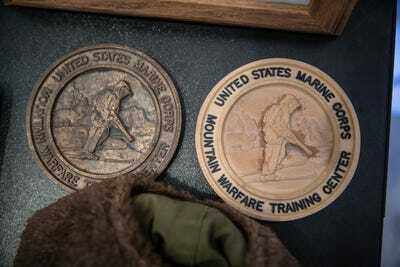 Here's the MWTC's entirely appropriate insignia, depicting a Marine on skis. 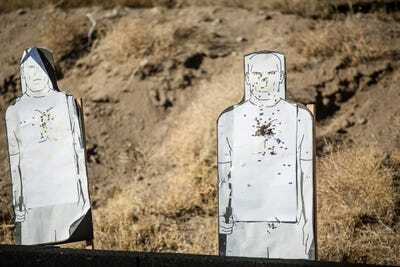 ... and engaging in high-altitude assaults. 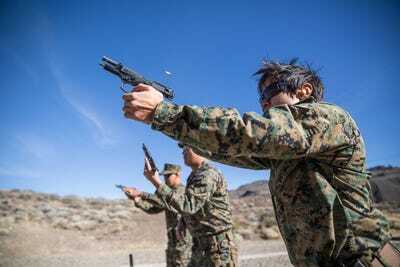 Some skills remain consistent regardless of the terrain -- like marksmanship. 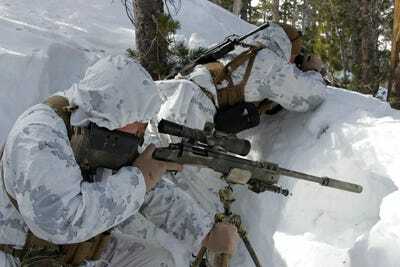 ... and learn how to maintain and operate their weaponry in a punishing cold-weather environment. 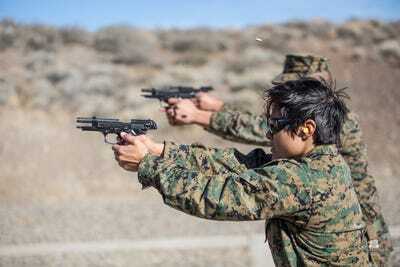 ... where Marines work towards total accuracy, regardless of the rigors of battlefield conditions. 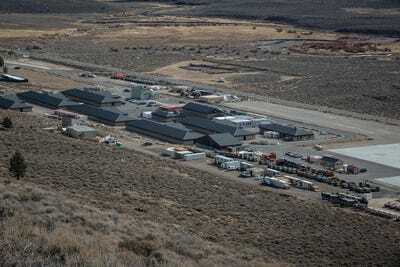 Here's a row of barracks at the Center. 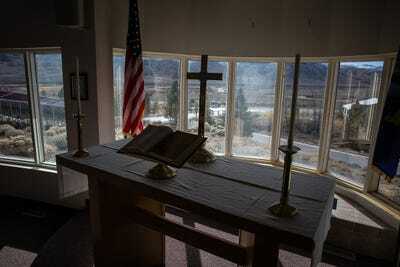 ... and the inside of the Center's non-denominational chapel. 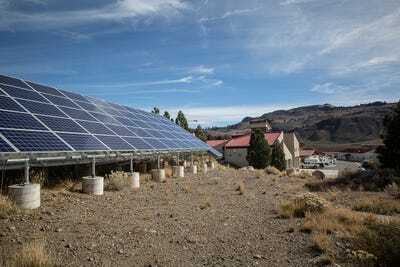 Here's a solar power array near the barracks. 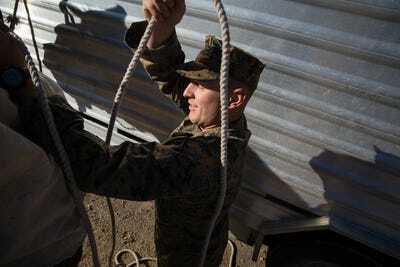 The MWTC is one of the Corps' most isolated posts, forcing it to be as off-grid and self-sustaining as possible. 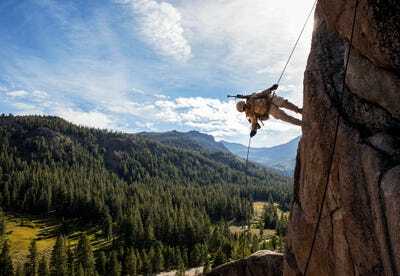 The training at the MWTC is difficult, and includes mountain climbing and skiing exercises, and study in mountain warfare doctrine and theory. 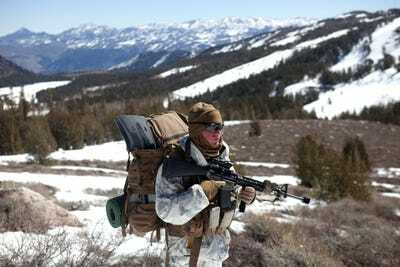 But at least the Marines get some of the most spectacular views in the entire US military. 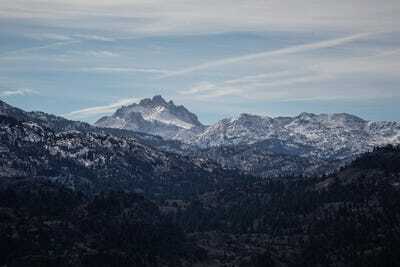 Through all the rigorous cold-weather training, the views of the Sierra Nevada are jaw-dropping.